The TEAC name became known as returning American soldiers from Viet-Nam brought back their tape recorders purchased at a low price from the military PX stores overseas. 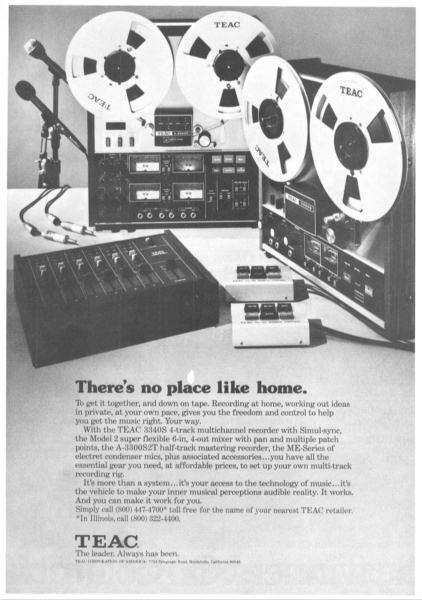 TEAC was the first to introduce consumer 4-Track tape recorders, a great innovation for that time. 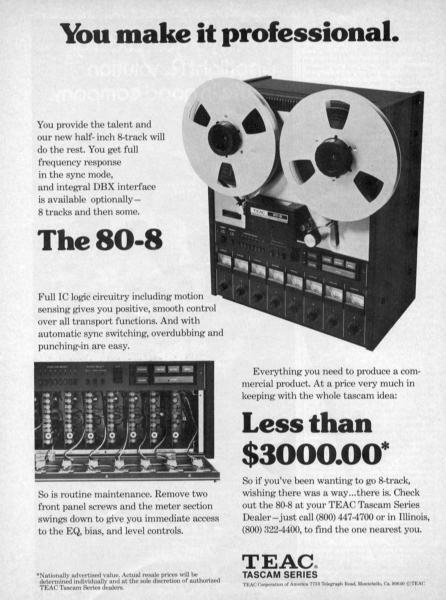 TEAC became the leader in multi-track recorders moving from 4, to 8 then 16 track machines. Small home studios the world over began using the TEAC multi-track machines as this niche became the market for TEAC recorders and mixing boards. These ads are from 1975.